Solar Power Payback Period - What is the Return on Solar Investment? What is the Solar Power Payback Period? 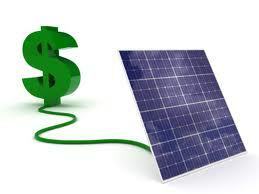 Many clients ask us about the likely Solar Power Payback period of a solar power system. Every installation is unique and every clients usage pattern is unique. Various power companies have different import/ export tariffs. Generally speaking though, the average residential retail import/export value of 1 Kwh (Kilowatt hour or unit of power) is currently 25c. We have been advised that the average annual increase in power prices is 7%. It would seem reasonable then to assume a 7% increase in value annually of power produced. If 1kw of solar power system generates 5 hours per day of power that equates to 1825 Kwh a year which at 25c equates to $456. So if each Kw of solar system cost for instance $3,260 then the system payback would be approximately 6 years. This calculation is an example only to assist in doing your own calculation and is not intended to be a detailed analysis of any individual system and its’ production. We trust that this helps in your understanding of the parameters behind assessing a solar power systems performance. 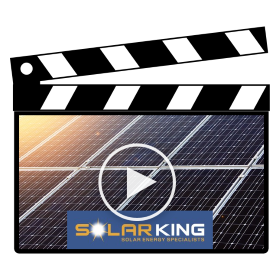 Individual customers must rely on their own research and calculations when considering the benefits of installing a solar power system and SolarKing accept no responsibility for and decision made based on this information. 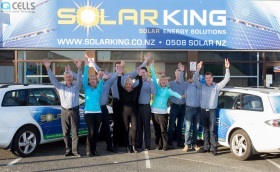 If you would like to discuss your solar panel requirements or request further information about the solar power payback period, please call us on 0508 Solar NZ, contact us or request a free quote today.